Come and walk with us on one of the most beautiful parts of the Spanish pilgrimage “The Camino de Santiago”. Although the complete path, known as the “French Way,” is 500 miles, our retreat will have you walking the last 120 miles of this pilgrimage from Villa Franca de Bierzo to Santiago de Compostela in the northwestern part of Spain. 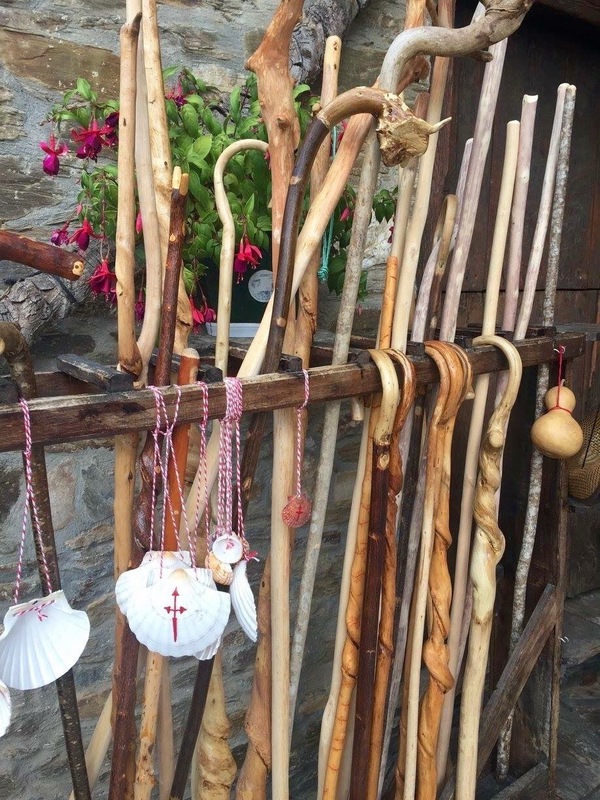 The Camino has been well known in Europe for centuries but these days, there are pilgrims from all over the world. People began walking this path for religious reasons but now there are many different intentions from personal to spiritual. The journey will take you through quaint villages, endless green meadows, and rolling hillsides. 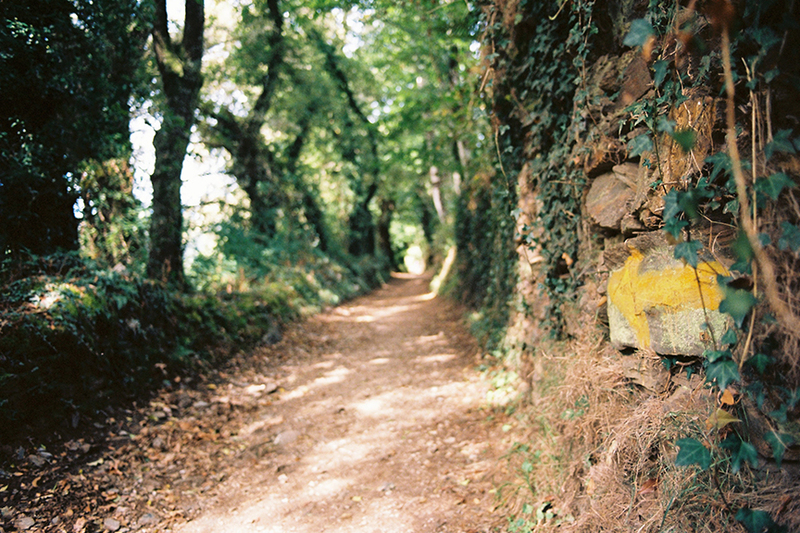 This well-worn path is symbolically marked by the image of a shell and yellow arrows help guide your way. Get your hiking shoes ready and let’s go for a walk together. Lunch and snacks - The Ashram Camino staff will be with you on the path, as well as at snack points and lunch places. You can have lunch anytime you get into the designated village. You do not have to wait for everyone to arrive. This walk is about finding your own rhythm. Included on your retreat is breakfast, lunch, dinner, water, and snacks. You might need a few euros for any extra drinks or goodies you decide to get along the way. You will be served a healthy preset "Pilgrim Menu” with choice of fish, meat, or a vegetarian option and always accompanied by a mixed green salad. This pilgrimage will take you out of your comfort zone on many levels. For example, gluten-free breads rarely exists so flexibility is required here. We are not going to restrict our guests from the whole Camino experience where sharing a glass of wine with fellow pilgrims is a common ritual at dinner time. We let it be a personal choice what to have or not. This is part of the fun and exciting experiences of The Camino!!! You will be staying in quaint hotels along the way. We have chosen great little places that sometimes are off the path and will require us to drive you a few miles in each direction. A few of the hotels are reserved only for our group. Most rooms are double occupancy but we have a few single rooms that are given on a first come, first serve basis. Accommodations are clean and simple with en-suite bathrooms. 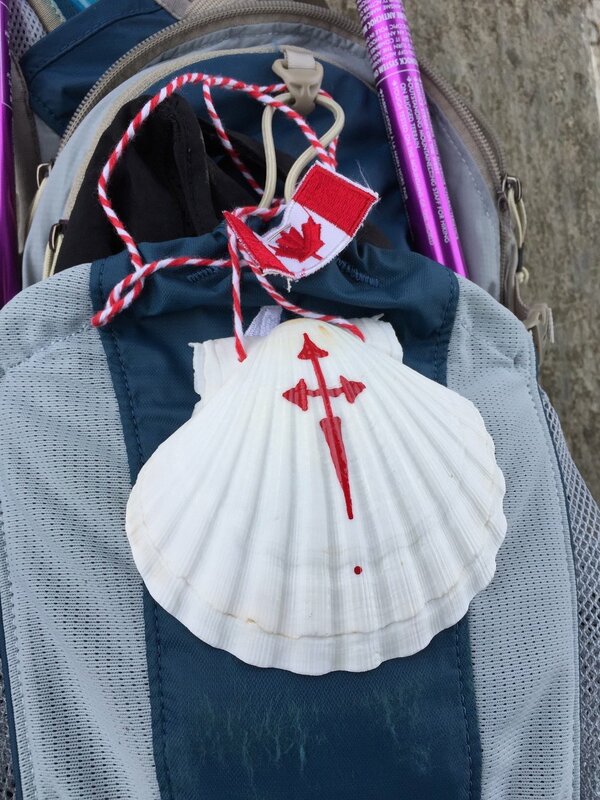 To identify you as a pilgrim, you will receive a scallop shell to put on your backpack as well as a special passport unique to The Camino. 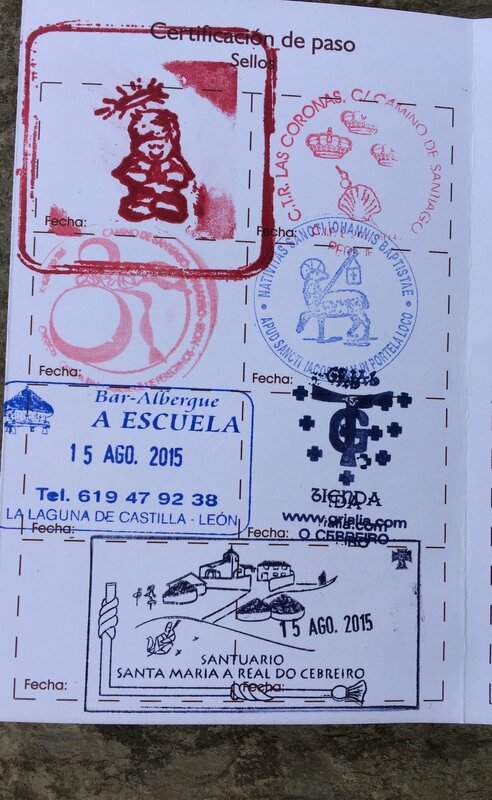 Along your walk, collect 2 stamps per day from churches, restaurants or hotels to show that you have completed the 120-mile distance once you get to Santiago. The cost for the 7 days walking, 8 nights accommodation is US $5,800 per person all-inclusive. The three-hour transport from Hotel Palacio del Carmen in Santiago de Compostela to Villa Franca de Bierzo where our walk starts is also included. Space is very limited for this retreat so if you are interested in securing a place, please call The Ashram office at 1.818.222.6900 between the hours of 9:00am to 4:00pm PST or email us at thecamino@theashram.com for reservations and additional information. IS THERE WIFI ON THE WALK? Yes. Most of the small hotels we are staying in have free WiFi. The walk varies in terrain. There are some long uphills but also undulating sections through meadows, fields, and quaint little villages. The walk will be more enjoyable if you are in good cardiovascular shape. Please call The Ashram any time Monday through Friday 9:00am to 4:00pm PST if you have specific questions or email us at thecamino@theashram.com. We are looking forward to showing you THE WAY on this most exquisite part of The Camino. HOW LONG IS THE PROGRAM ? 7 days walking and 8 nights accommodations all-inclusive. Pick up is at 2:00pm on your start date. You are welcome to make flight reservations anytime on your departure date as there is no program on that day. Santiago de Compostela which is about an hour flight from Madrid. WHERE DO I GET PICKED UP TO START MY PILGRIMAGE? HOW DO I GET TO THE HOTEL PALACIO DEL CARMEN? From the airport take a taxi for the approximate 15 to 20 min drive. Cost is around 25 euro. IF I COME IN A DAY EARLY WHERE DO I STAY? We do recommend that you come in a night in advance so not to miss the pickup at 2:00pm. Hotel Palacio del Carmen is a nice, smaller hotel located close to the centre of town. Email us for other hotel recommendations if needed.